Agrii bounced back into the black. One of Britain’s biggest arable businesses bounced back into the black last year. Agronomy group Masstock Arable, which trades as Agrii, posted a pre-tax profit of £12.553 million for the year ended July 31 2018. This compares to a pre-tax loss of £2.031m the year before. 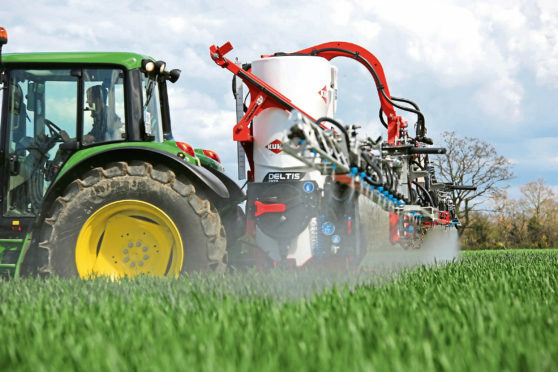 Accounts filed with Companies House reveal that the firm, which sells crop protection products and provides agronomy advice, enjoyed an increase in turnover to £302.396m, from £297.036m previously. In his report accompanying the accounts, the company’s chief financial officer Spencer Evans said the firm showed improved performance for the financial year with strong autumn conditions and a favourable spring. “Both seed and chemical sales benefited from these conditions and the continued benefit of the company’s integrated agronomy model,” he added. He said the firm incurred exceptional costs of £1.5m in the year due to termination payments due to restructuring. The accounts also reveal that the highest-paid director at the firm, which employed an average of 672 people in the year, took home a pay cheque of £781,000 in the year – down from £953,000 the year before. Agrii’s Scottish operations include bases at Arbroath, Croy, Forfar, Inverurie, Turriff and Perth.